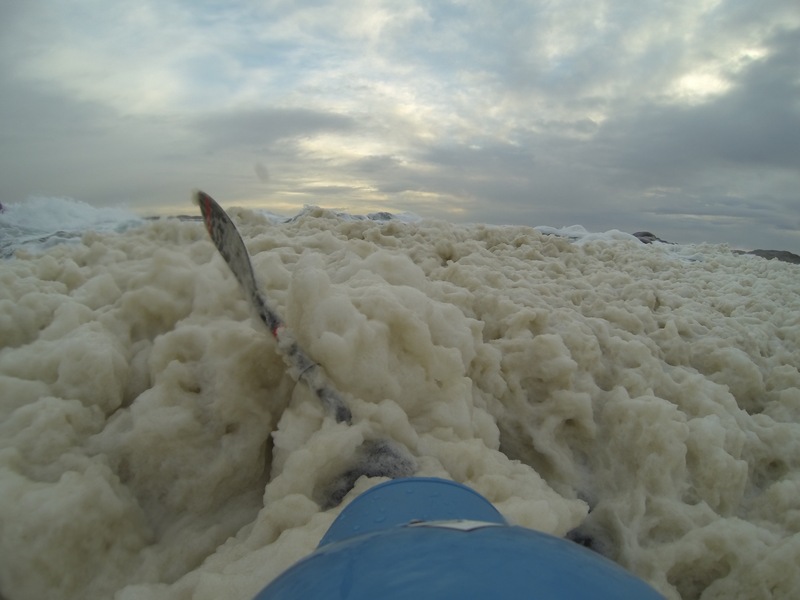 The storm named Nina hit the Norwegian east coast on saturday 10th of january. 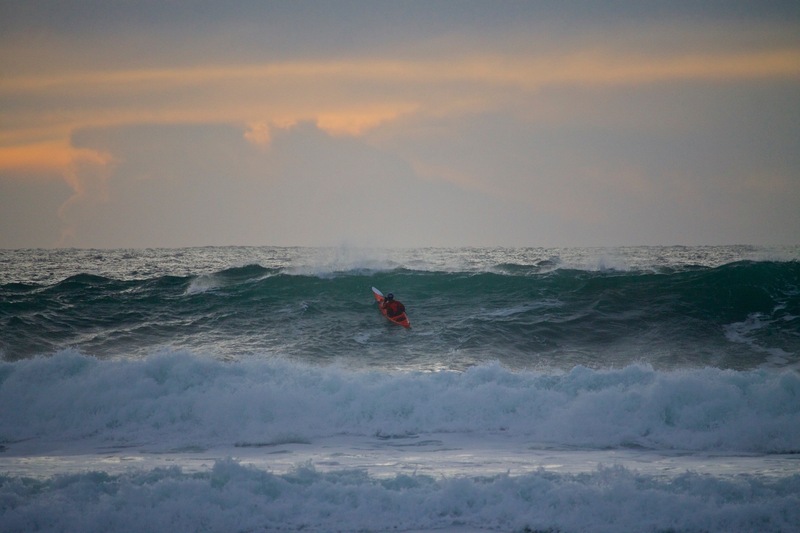 On the following day a group of sea kayakers went to Saltstein (Nevlunghavn), a place known for surfing and decent waves. 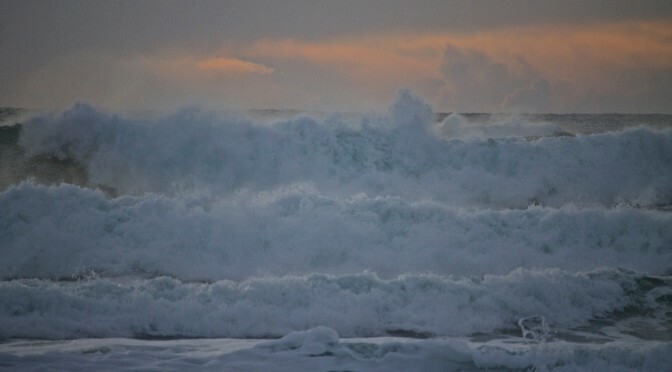 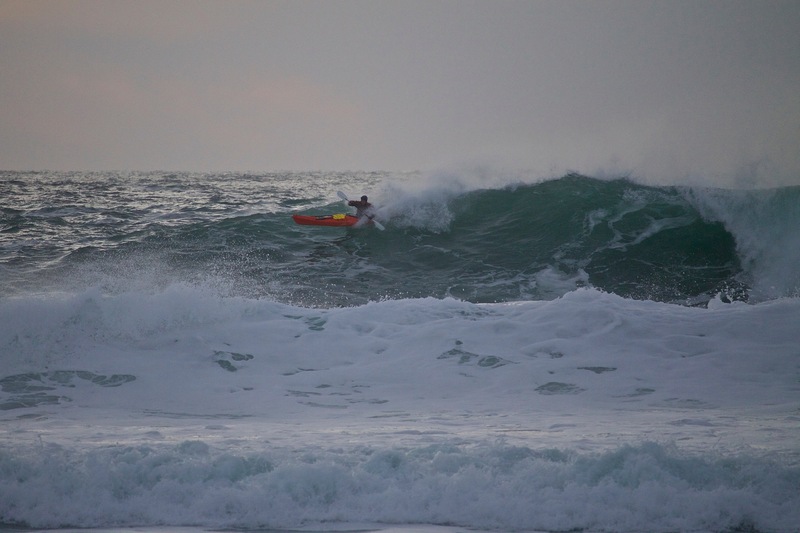 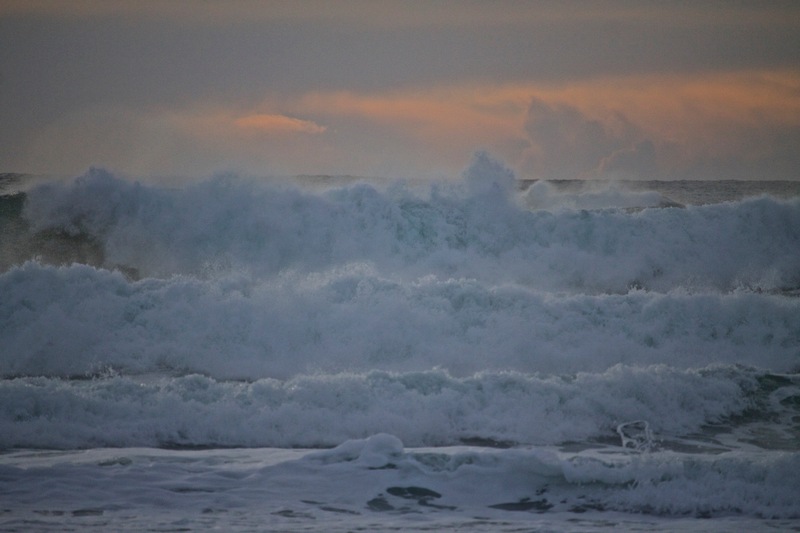 Little did we know that Nina had cooked up 4 meter waves and fairly wild conditions. 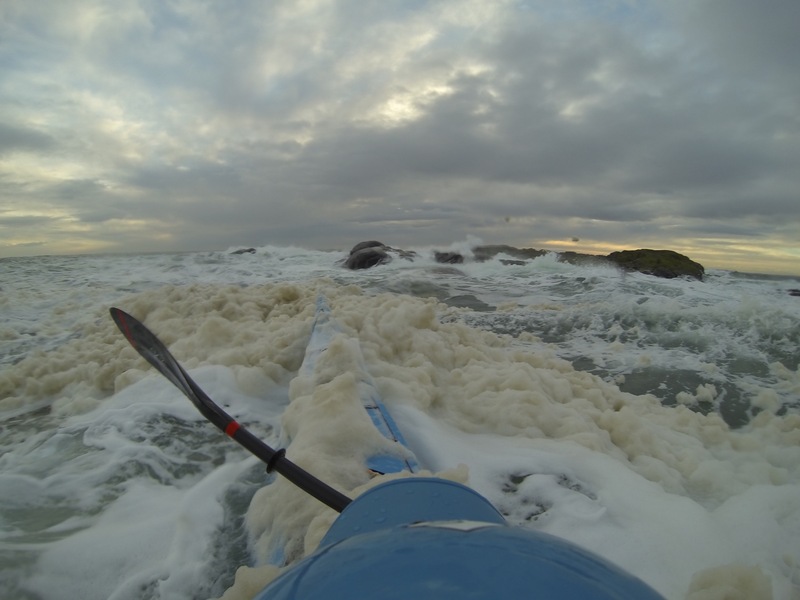 Ross Richards is paddling uphill to get out to sea. 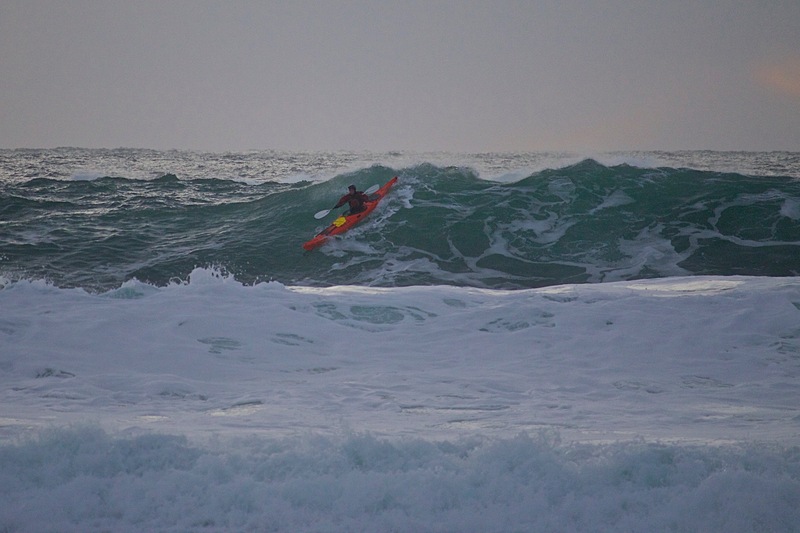 Not the easiest of conditions. 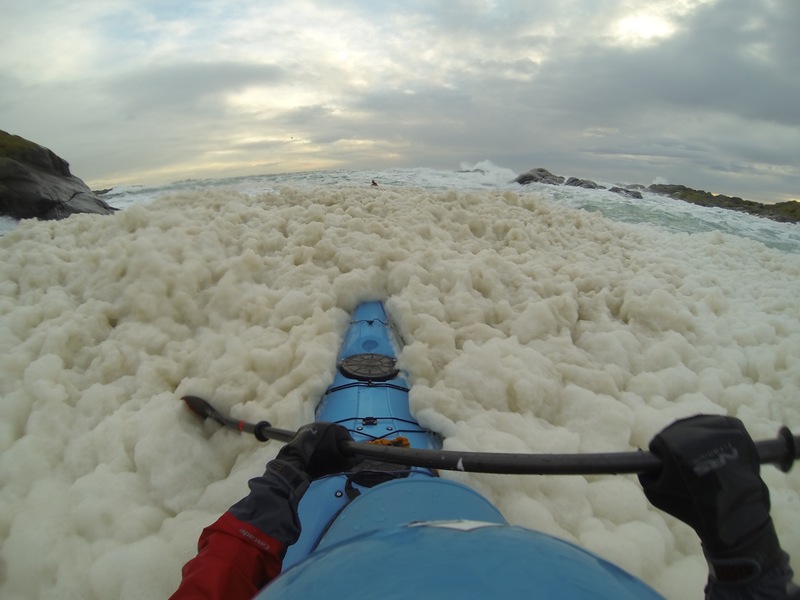 Nearly overwhelmed by foam created by the 4 meter waves crashing against skerries.